Soulsville Charter School alumnus Kenneth Crawford returns from college to work at a new charter school in Soulsville. After attending The Soulsville Charter School (TSCS) from February 2006 until graduating in the first graduating class in May 2012, Kenneth Crawford attended Wiley College in Marshall, Texas and graduated in May 2016. 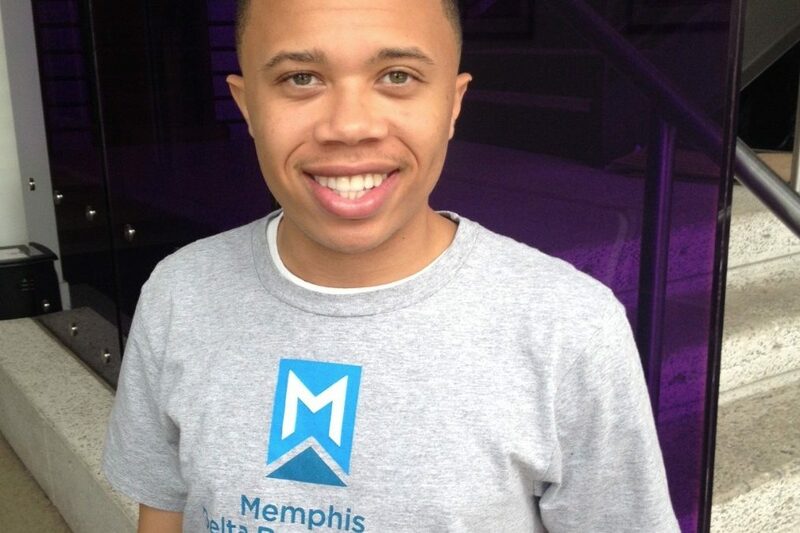 Now, he is working in administration for his former TSCS math teacher Michael McKenna, who recently relocated back to Memphis and founded Memphis Delta Prep, a K-5 charter school in Soulsville on McLemore Avenue, just a few blocks from the Stax Museum of American Soul Music, Stax Music Academy, and TSCS. It is slated to open in August 2016. What school did you go to before The Soulsville Charter School and how was it? Before attending The Soulsville Charter School, I attended a Shelby County Schools middle school, which wasn’t a very pleasant place for me because I wasn’t receiving the education that I knew, could be accomplished if I had teachers that cared. What was your first impression of the school? My first impression of the school was how well organized and professional everyone was toward the learning environment and each one of its students. Did that change over time? No, my first impression remained the same and still stands that way until this day. How do you feel about the teachers and college counselors and other staff at the school? I feel that Soulsville has faculty and staff are all there to push each student to dig within himself/herself so each person can see the success that lies within. What were some of your challenges at the school? Being educated in the public school system, I wasn’t used to getting out of school at five in the evening and being held accountable for doing my work and being held to a standard of excellence. So, adjusting was very difficult at first; however, I made it through that phase and pressed my way through. What are some of the happiest memories you have of the school? My happiest moments were having the privilege to learn how to play an instrument and interacting with my fellow peers as we went from one grade to another growing as a family. What do you think are the main things that make the charter school so successful? The main thing that continues to make the charter school great is the discipline they have. How did the school help prepare you for college? The school showed me and made me recognize that discipline will help you achieve what you have set your mind on. What was college life like? College was very different than high school. I had to experience being an adult and learning how to make wise decisions if I wanted to obtain my degree and continue to grow my leadership skills. What does it feel like now to have graduated and come back and be going to work for your former teacher at his new school? It feels AWESOME to have graduated. It doesn’t seem real most days but it has shown me that time waits for no one. It also feels heart warming to work now for my former math teacher, who I didn’t get along with very well when he was my teacher. However, I wouldn’t trade this experience for anything in the world as I work along side him to help him build one of the greatest schools in the City of Memphis. My future plans are to obtain my Masters & Doctoral Degrees and later become a President of a Historically Black College and University.